The weather in Northwest Alaska is as varied as the region itself. Inland temperatures can rise into the 90s such as in Kobuk National Park. Nevertheless, severe weather is common in Northern Alaska. High winds, thunder storms and even snow are common, so preparation for inclement weather is essential. By the end of August, the season changes and the weather turns wet and cool. September is transition time and the temperatures range from lows in the teens and day temps can get up into the 40's. Meat care is important so keep your meat hanging, cool and dry! 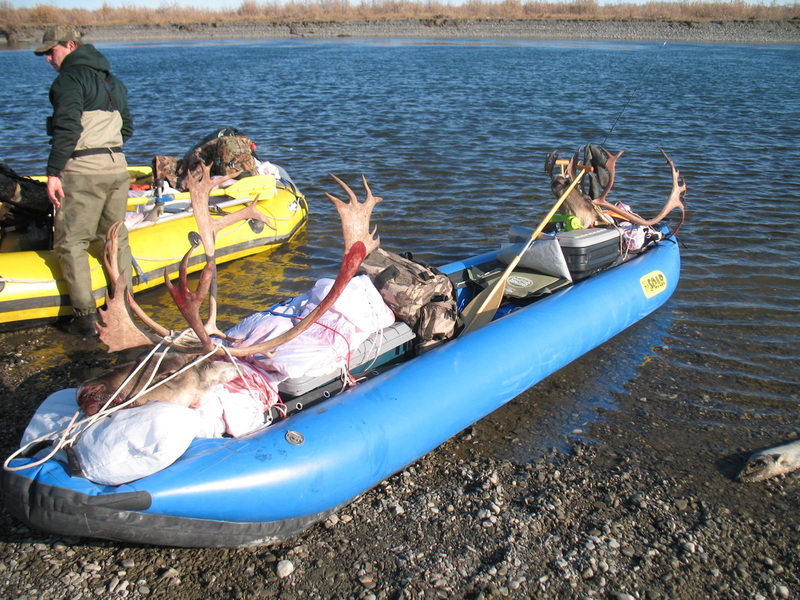 Rafts are not refrigerators so do not leave meat bags in your raft over night, it will go bad if the temps are warm. Late September the temperatures get cold and our rivers begin to freeze as winter descends upon the region. Yes, we have bugs! June is Northwest Alaska's buggiest month due to the rapid snow melt and subsequent standing water. Head nets and insect repellent are recommended. Even though September is usually cooler it is not bug-free. Selecting a campsite on the breezy bend of a river does reduce insects. How much does air taxis cost? Kotzebue has a number of experienced backcountry air taxis. I work with a number of different air taxi services all the way from ANWR to WACH and each has their own pricing. Call me and we can discuss expected costs per hunter. Most Air taxis use 206 aircraft which have a 800 pound capasity and we have many outstanding rivers within 1-2 hours flying time from Kotzebue. Call us for our recommendations on optimum local options. When you book your filight you will be buying 800 pounds of capacity. Northwest Alaska is world class in its natural grandeur, remoteness, and wilderness experience. In a region that is one of last untouched gems in North America, careful planning is essential to a safe, enjoyable trip. 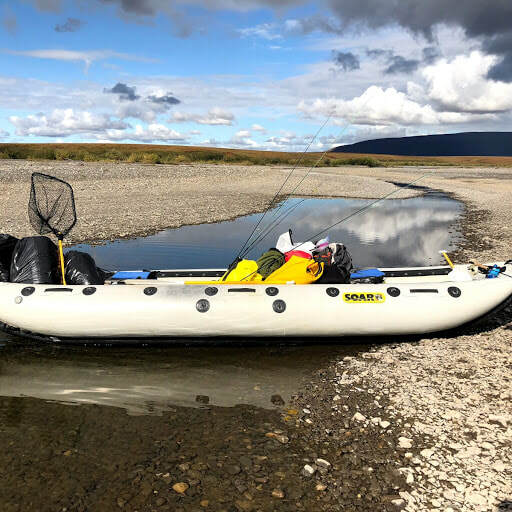 We offer essential information on the region and can help you select the best river drainage for an unforgettable trip of a lifetime using the highest quality outdoor equipment! Renting outdoor equipment locally saves visitors to the region the considerable freight charges of shipping in your own gear. 18 foot SOAR Pro-Pioneer Magnum. Perfect for skinny rivers!